The basis for WinSprink is the time-tested and proven calculation core. Tree and loop typed systems can be calculated. The input of data is made by an input tree view control which can be compared with Windows Explorer. The item which is to be processed can be selected directly from the tree (e.g. range pipe). The data for this item will be shown on the right-hand side in a table. Thus, finding the items and changing them is easy and fast. Parts of a pipe system can be copied easily and even complete pipe systems within a single branch can be copied when they are of a similar kind. Pipes can be references pipes, ie. once a pipe is defined it can be the reference pipe, which then can be used as often as needed in a net. When a reference pipe is altered all related pipes will change accordingly. Each pipe can have its own “C” factor. 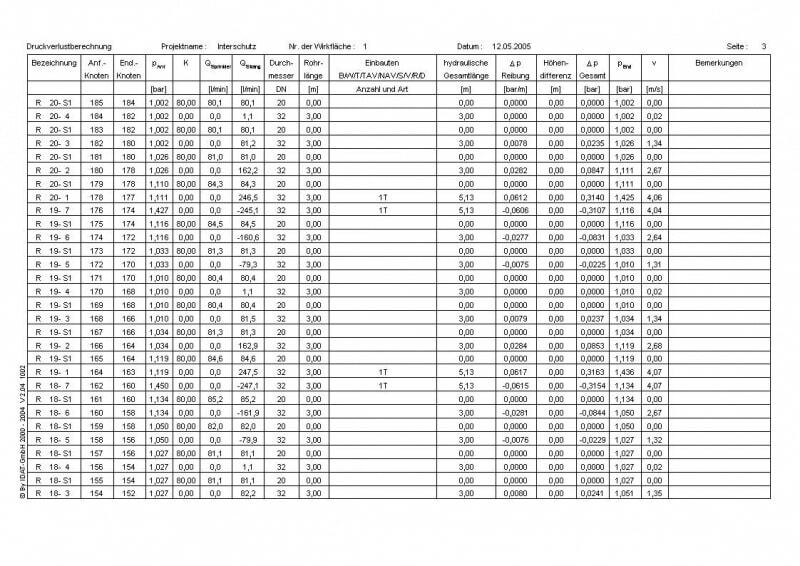 The selection of the equivalent length of the fittings is done in a table which the user can put together. 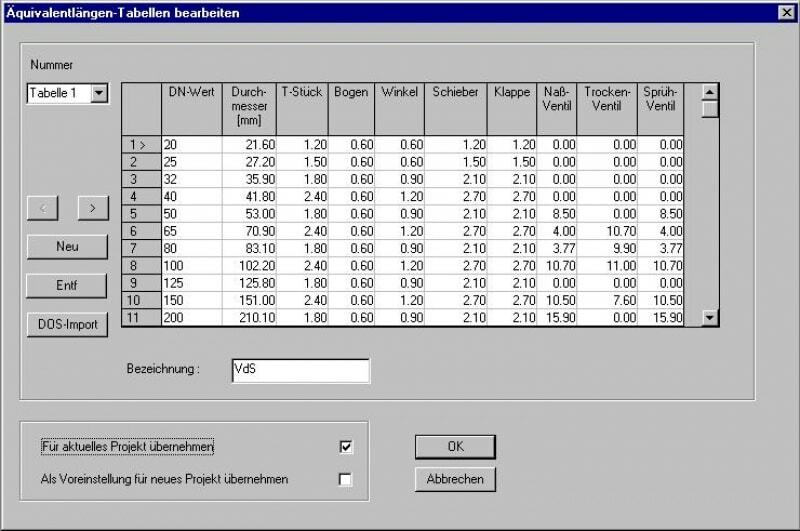 Three standard tables (for VdS and FM) are included in the program, other user-defined tables can easily be added. The user can add, process and save as many operation areas as needed. The definition of the operation area is independent of the actual pipe geometry and can be changed at any time. This is very important as in looped systems the position of the most unfavorable operation area is not known from the outset. These areas can only be located approximately step by step. But the user could also input the whole system as an operation area. Despite the high accuracy of the calculation, the results are determined very fast due to the optimized calculation method. The calculation is governmentally accepted and according to VdS, FM, NFPA, and LPC. Optionally the pressure loss can be calculated in accordance with the Darcy-Weisbach-Formula (e.g. for foam systems) instead of the Hazen-Williams-Formula.